The Bavarian limo lends itself quite nicely to a shooting brake. The styling of the recently updated 7 Series raised a lot of eyebrows and flared a lot of nostrils, not least its own, when it was revealed. 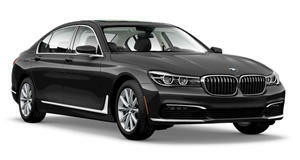 There is no denying that BMW’s most luxurious offering is a technological marvel, but that enlarged kidney grille has been hogging most of the attention. Following in the tire tracks of the gargantuan X7, this seems to be the design language that BMW has chosen to follow, so we can only hope that it integrates better with the lesser models in the range when it is implemented. X-Tomi Design is always quick on the draw when it comes to renderings of new models in body styles the manufacturers don’t offer, and it didn’t take them long to visualize what a wagon body style would look like on the refreshed 7. The render only shows the 7 Series wagon from a front three-quarter angle making it difficult to ignore that snorting big grille and take in the changes to the rear, but to our eyes at least the changes don’t look half bad. BMW has never offered a wagon body style for their range-topper, that has always been the preserve of the 3 and 5 Series variants and in the current range, there is only a single 3 Series wagon on sale. Blame that on the proliferation of crossovers and SUVs that have taken over the landscape but we still think that a decent wagon makes more sense more of the time than an oversized SUV. Even if the 7 Series wagon is no beauty it sure looks heaps better than those awkward Gran Turismo hatchbacks they insist on building instead. The days of the wagon may be numbered but with the German manufacturers intent on creating and then filling every motoring niche around, we wouldn’t be surprised if the 7 Series wagon became a reality. 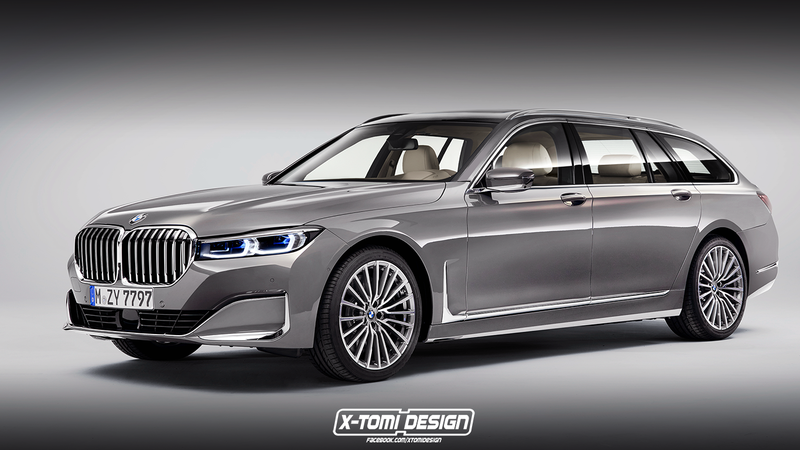 Until then, fans of big wagon-style BMWs will have to settle for the upcoming 8 Series Gran Coupe, judging by the renders from X-Tomi and others, that is a design language we can totally relate to. Just make sure you get some time behind the wheel as well.